Exercise isn’t the only route to a well-defined masculine torso. Upon first mention, the idea of pec implant surgery might seem like the lazy man’s ticket to an impressively-toned torso without having to really work for it. And while there might be some truth to this assertion (not that there’s anything wrong with it), it’s usually not that simple. Outside of instances of pectus excavatum (sunken chest), Poland syndrome, and other birth defects that leave men with abnormally-developed chests, for some guys there’s simply no amount of exercise they can do that will effectively bulk up their pectoral muscles. Pectoral implants have become an increasingly common solution for those who find themselves in this situation. While it’s a relatively involved treatment that doesn’t come cheap, it’s also safe, effective and not so expensive to be financially out of range for most people’s budgets – especially when you take into account that many plastic surgeons offer quite reasonable financing plans to help turn their patients’ cosmetic goals into reality. So if you’re one of those guys who just can’t attain that strong-looking upper body you want through exercise alone, a well-done pectoral implantation will buff you up while notably toning and enhancing the appearance of your existing muscles. Pec implants are designed to shape and add definition to the chest area, leaving you with a well-proportioned, symmetric, natural-looking and athletic torso. When performed by a skilled, board-certified surgeon, it’s all fully realizable with very little risk of serious complications or negative side effects. In fact, after reviewing a few before & after photos of well-executed pectoral implants, you’ll likely agree that the procedure seems almost too good to be true. The results from pec implants can be nothing short of amazing. Prior to the day of your actual surgery, you will already have had a full consultation with your doctor where they will have reviewed your medical history in detail, answered any specific questions or addressed any concerns you may have, and performed a physical exam to determine your fitness for the procedure. You will also discuss the different shapes and sizes of implants available, and choose one that forms most naturally to the curves and shape of your existing muscles. Some patients choose pre-shaped implants while others, in particular those who are correcting a birth defect or disfigurement resulting from a serious accident, prefer to have custom implants made. Given it usually takes approximately two months to create a custom implant, surgeons sometimes prefer to work with standard implants and carve them into the preferred shape and size. The primary objective, of course, is for the implant to appear as natural as possible. Avoid most anti-inflammatories, Aspirin and certain herbal medications that could encourage increased bleeding. Stop smoking at least two weeks in advance of your surgery. Arrange to have someone take you home after your operation and ideally stay with you for your first night post-op. Pectoral implant surgeries are generally performed in a hospital or accredited medical facility, and take approximately two hours to complete. Most surgeons and patients opt for general anesthesia during the implant procedure, although local anesthesia or intravenous sedation are also used under certain circumstances. Your heart, blood pressure, pulse and the amount of oxygen circulating in your blood will be monitored throughout the surgery to ensure optimal safety. The pectoral implant surgery itself begins with your surgeon making a small incision in your armpit. Following the path of this incision, the implants you’ve chosen are then placed under the pectoral muscles and sutured. The implants are kept in place by the overlying chest muscles or sutures that are temporarily visible through the skin. Following surgery, you will be escorted into a recovery area where you will continue to be closely monitored. A compression garment may also be applied in order to minimize swelling and ensure the implants don’t shift. After a relatively short observation period, assuming there were no complications, you will be permitted to go home on the same day to begin recovery. You are likely to feel a certain amount of physical discomfort in the first 48 hours following your operation. That said, the pain medications you will be prescribed should go a long way towards helping you manage it. Few people know more about pectoral implants than Dr. Marc DuPéré. The well-known Toronto-based plastic surgeon probably performs more implant surgeries than any other doctor in his native Canada and is widely considered to be an “expert’s expert” when it comes to these procedures. Dr. DuPéré says that so far as post-surgery recovery pain is concerned, he assigns it a 7-8/10 on the pain scale. “There’s less pain involved than with tummy tucks or buttock implants, but more than you’ll feel with lids or noses,” notes DuPéré. Bandages are typically removed within the first week of recovery and your doctor will probably recommend you wear a compression garment on your chest. These garments not only make you feel more comfortable, but ensure that you heal properly by reducing the risk of your pectoral implants shifting position. Stitches are usually removed after approximately 10 days. Swelling can persist for 3 to 5 weeks post-op and will sometimes last for a few months. Even still, most men whose jobs don’t involve manual labor or any heavy lifting are able to return to work within a few days after their surgeries. Complications from pectoral implant surgery are rare. Any specific risks that could apply to you personally will have been discussed during your initial consultation. As with all cosmetic procedures, pricing depends on a variety of factors, in particular geographic location and the experience/competency level of your surgeon. In the United States, prices for pectoral implants can be as low as $6,500 and as high as $12,000, with the average cost being approximately $9,500. While price is obviously an important factor when deciding upon the right surgeon for you, your primary concern should always be safety. As such, it’s crucial to verify that any surgeon you are considering is certified with an official board like the American Board of Plastic Surgery (ABPS). 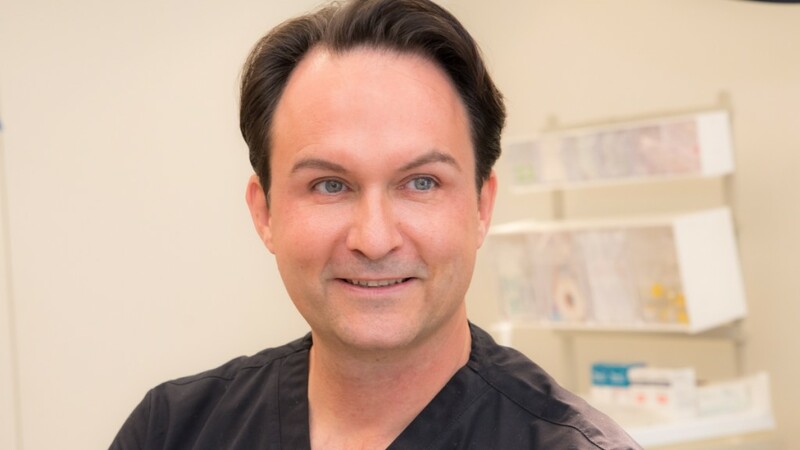 Dr. Marc DuPéré is one of the busiest plastic surgeons in Canada, performing more body implant surgeries (other than breasts) than any other doctor in the country. With a practice spanning 15 years and counting, in addition to specializing in more common implant surgeries like breasts, DuPéré has extensive experience with less traditional cosmetic procedures like pectoral, calf, buttock, hip and chin implants as well. He is highly sought after for his ability to craft first rate custom-made implants for patients, a common request from people suffering from pectus excavatum, as well as those in need of specifically shaped pectoral implants. Dr. DuPéré recently took time away from his Toronto practice to talk to Zwivel and share his considerable expertise concerning pectoral-implants with our readers. This is what he told us. Who would and wouldn’t be considered good candidates for pectoral implants? The most common requests come from males who, despite going to the gym and working their pectoralis, just can’t attain the size they desire. I also have a smaller set of patients, busy and traveling corporate men, who don’t have the time to work out in the gym five days a week. Finally, I have a small group of transgender patients – female-to-male – who benefit from pectoral augmentation as part of the masculinization of their bodies. Pectoral implants can also be indicated for males who have lost some weight as to replenish the skin envelope, which is analogous to a lady wanting breast implants after breast-feeding and breast deflation. That being said, significant weight loss may also require skin excision. Finally, gynecomastia (aka male breast tissue), must also be addressed when present, as pectoral implants alone will often lead to a more pointy breast. Therefore it’s very common to remove the glands at the same time as performing a pectoral augmentation. Couldn’t somebody who is really committed just go develop their pecs at the gym, or is this truly impossible for some people? As we’ve all realized at one point or another, most of us have muscle groups that simply won’t grow significantly in spite of our best efforts. I see this regularly in my calf and buttock augmentation practice as well. The gym will definitively improve muscle tone, but not always increase the volume and projection the patient is aspiring to. And most of my patients aren’t interested in using non-approved anabolic steroids for these purposes because of the numerous complications they entail. 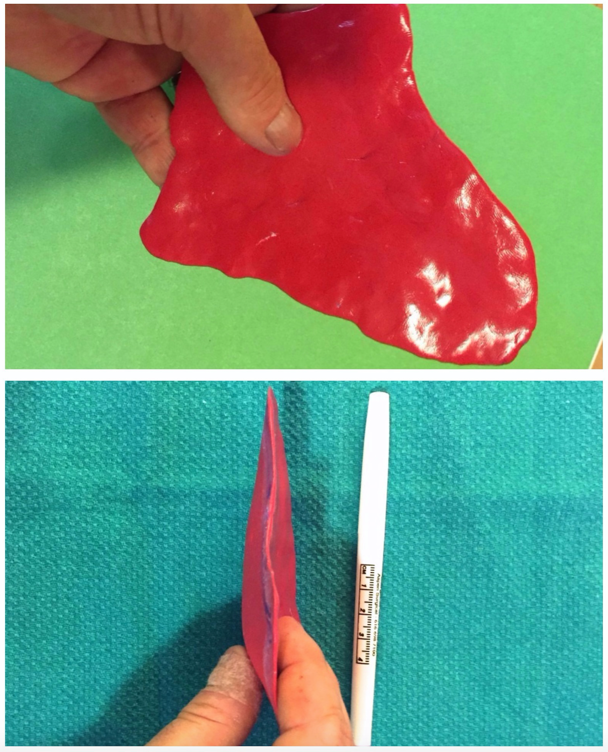 In your practice, what would you estimate the ratio is so far as patients seeking pec implants for cosmetic reasons and those looking to correct a birth defect or abnormality? 90% pure cosmetic versus 9% for pectus excavatum and 1% for Poland Syndrome. What are some of the most common benefits to this surgery? Instant muscle bulk, volume, increased skin tone, sexier body, less time required at the gym. How should a person prepare for pectoral implant surgery? Patients are instructed to shave their underarms no less than three days prior to surgery. Patients usually prepare their books, iPad, movies, laptop, food, etc, in anticipation of the quiet week they will have at home post-surgery. Patients cannot eat or drink anything, including water, coffee, tea, etc. after midnight for the following day’s surgery. Although I commonly perform some body contouring with liposuction where I will “clean up” the fat from the areas around the pectoralis (chest rolls, abdomen, love handles, etc. ), in most cases, the blood loss is small and no iron supplements are necessary. 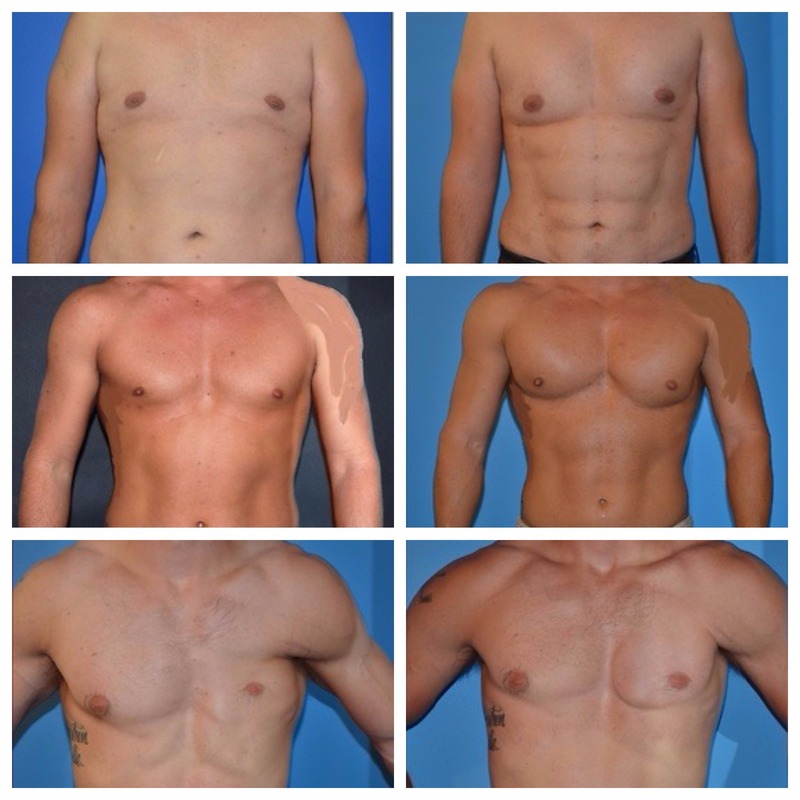 If a male is chubbier and a larger liposuction is performed at the same time, then the patient would start 3-4 weeks pre-surgery and continue with the iron supplements 3-4 weeks after. Proper nutrition is required with any surgery with ample proteins to help with the healing. Blood-thinners such as Aspirin, Advil, and Coumadin are contraindicated for 10 days pre-surgery. Patients are also required to see their family doctor pre-surgery for a routine pre-op assessment. Routine blood tests might also be required. The pectoral implants are inserted via a small underarm incision, right within the hair-bearing axillary dome. The outer pectoralis edge is easily found and a sub-muscular pocket is created all the way to the lower ribs and mid-chest bone, without de-inserting the muscle itself. The implants are inserted between the pectoralis itself and the underlying ribs. I leave one small drain in each pocket for a few days to collect fluids. The surgery is done under general anesthesia and takes approximately 90 minutes to 2 hours. Although my clinic is accredited for overnight stays, patients for pectoral augmentation with implants can return home later in the day after recovery. Somewhat more than a breast augmentation, but less than buttock augmentation. Pain is present for 2-5 days on average, then patients experience tenderness for another week or so. A compression vest is worn for 3-4 weeks and will fit under normal clothes. Patients must avoid upper body activity for 6-8 weeks as the body needs that amount of time to create a thin layer of collagen around the implants, called capsule, which will ensure a “fixation” of the implants and prevent migration or displacement. How risky is this procedure? Risks are minimal and very similar to breast augmentation in women. Moreover, most of my plastic surgery patients are healthy. The incisions are well hidden in the underarm area. Seroma (clear fluid) and hematoma (bleeding) can occur but my use of drains has brought those risks to less than 1%. Infections are very rare and patients get intravenous antibiotics, post-op antibiotics, plus I also rinse both the sub-pectoral pocket and the implants with 3 antibiotics. Further, a capsular contracture (tightening of the natural envelope around an implant) is much rarer with pectoral implants than breast implants. If an operation does go bad, what’s involved in repairing the damage? Another operation? It would depend on the complication. Seroma can usually be treated with a painless needle aspiration at bedside – or at the office. A bad scar can be easily revised under local anesthesia. A rotated implant, serious infection or hematoma (bleeding) would require going back into surgery. Are there any other cosmetic procedures that might affect similar results that don’t involve implants? Fat grafting perhaps? I perform fat grafting for various conditions, such as buttock augmentation, hip augmentation, facial volume restoration, breasts, etc. And yes, fat can be used to augment the chest in males. The issue with fat transfer is that there is a limit (capacity for soft tissue to accept added fat in one procedure) of fat that can be injected. Also, a large proportion of the fat will not survive and may require a second procedure. Finally, fat is softer than a healthy athletic muscle. It will always “feel” like fat whereas a pectoral implant is very close in palpation to a normal athletic muscle. Is there one specific type of implant used for this procedure or are there various options? If so, what are the pros and cons of each and which do you personally generally work with? All pectoral implants in the North American markets are made of medical-grade solid (but super soft) silicone material; no gel so no chance of rupture. Those implants are similar in “feel” to the calf, buttocks and chin implants. In this country Health Canada (similar to the FDA) approval is required. A few companies offer various models and sizes of pectoral implants and the one we choose for a patient is the result of a combination of many factors, two being the anatomy of the patient and his wishes. Can you give me a ballpark figure with respect to how much the procedure costs? Our 2017 prices are, in Canadian dollars: $11,850 + HST.